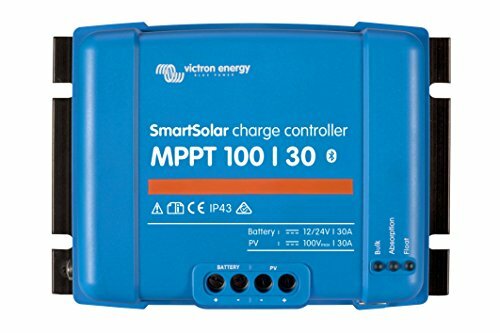 The Victron BlueSolar MPPT 100/30 solar charge controller is marine rated and ideally suited for mobile applications with flooded, AGM or lithium batteries. 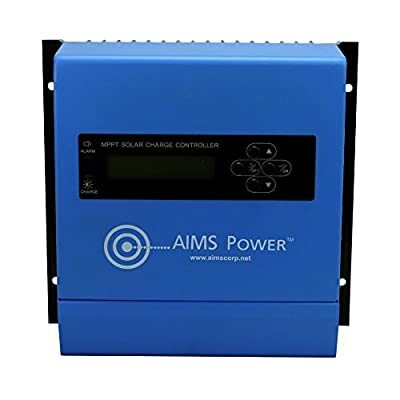 This charge controller can support up to 450W of solar panels at 12V or 900W at 24V. 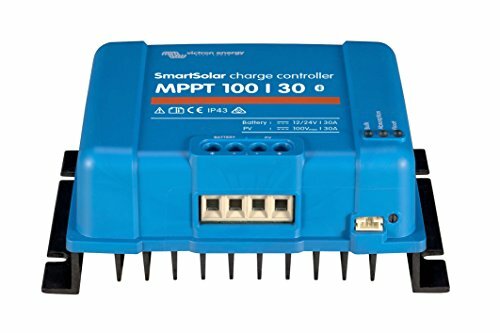 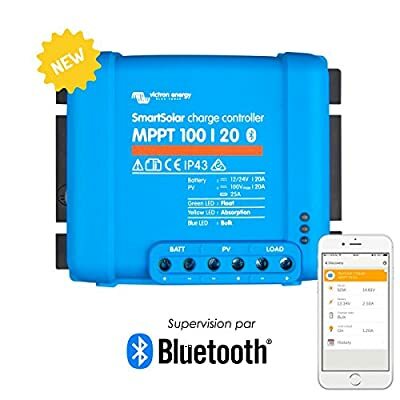 BlueSolar MPPT charge controllers are compatible with the Victron Bluetooth Dongle, MPPT Control and Color Control GX Monitor for programming and monitoring.